It was my 25th birthday this past Friday (March 2) and I had no plans – which was a first for me. I just want to thank my friends for not listening to my insane desire to be anti-social that day. 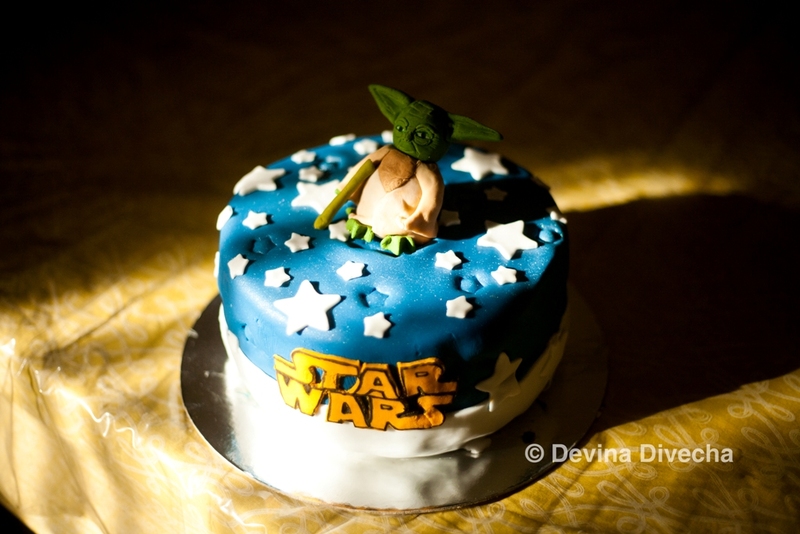 Ringleaders Shruti and Wajiha organized an immensely well-executed surprise birthday party (code named “Devina’s D-Day Do”) – which included this fantabulous Star Wars themed cake created by Sahar Latheef Rahman. A blue cake with stars, a near-identical logo and an extremely detailed Yoda (down to the bags around his eyes) … I was in seventh heaven. Helped that it tasted really good too (guess who even had birthday cake as a dinner substitute the next day?)! This wasn’t the first time I’d encountered Sahar’s work. 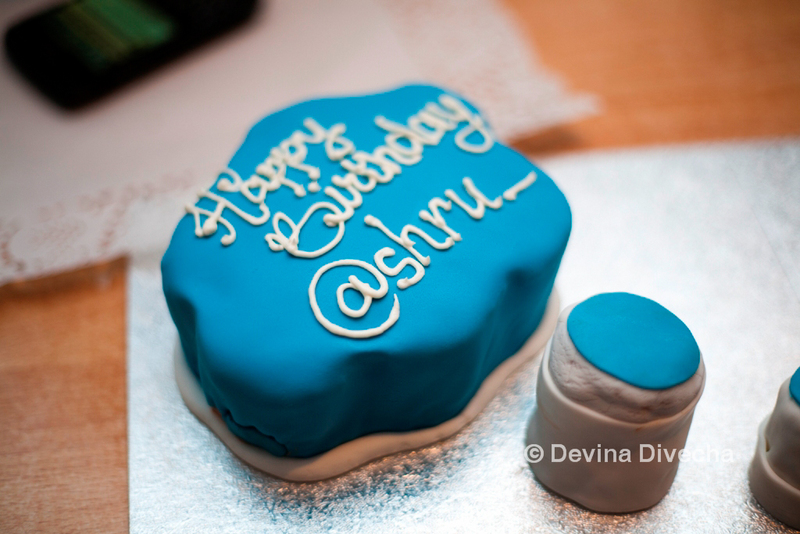 When a surprise birthday party was organized for Shruti late last year, I asked Sahar to create a Twitter cake, which I thought came out really well. She’s quite creative and passionate (it shows in the detailing of the cakes) and I don’t hesitate to recommend her if you’re on the lookout for themed cakes, which are affordable and delicious to boot. You can contact her through her Facebook page or Twitter. So nice of ur pals!!! very sweet birthday indeed!makes u feel so special right??? Well U r lady!!! Hope u had a super fab day..and May u have an even better year!! Happy Birthday! It’s so nice that you have good friends to take care of you like that… and that cake is amazing. I’m personally intimidated by fondant but this is beautiful! 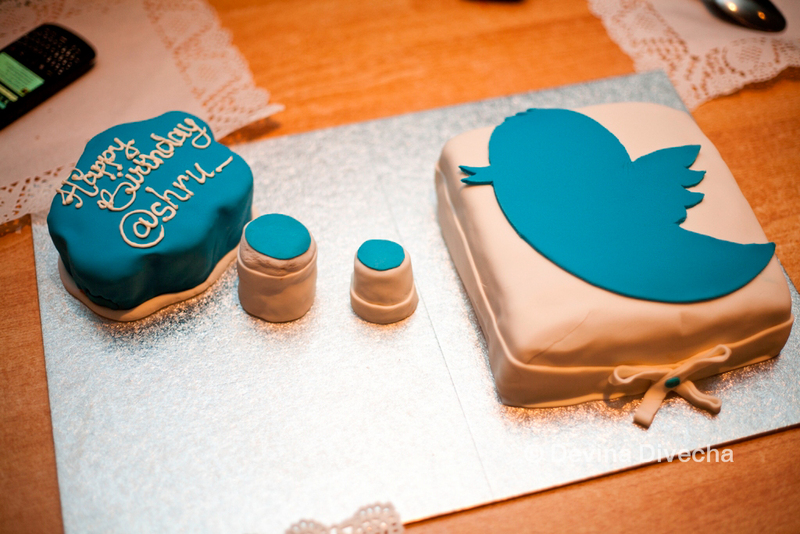 Happy belated birthday Devina, thanks for sharing this with everyone 🙂 would love to order a customized cake like this! Thanks everyone for your wishes!Dina – I was very overwhelmed to know these people care so much!Sarah – Yup, I don’t know how she does it but it looked and tasted good.Dima – Haha yeah I kept it on the down-low :)Tasmeea – oh yeah it’s definitely helpful to know we have options like this for cakes…glad to be able to share. Previous A frankie-turned-kathi-roll challenge…how could I refuse? Next Can you eat more than 70 dosas? Take up the challenge!